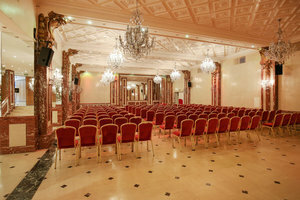 This historical 317 sq m venue in the prestigious area of Champs Elysées is ideal for private events, showrooms and corporate events. The interiors are classic and historic with a sublime and detailed plasterwork ceiling. 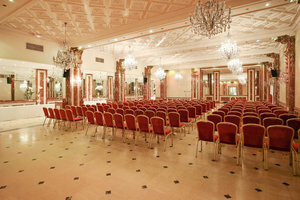 The space is open plan with beautiful marble floors and antique chandeliers. 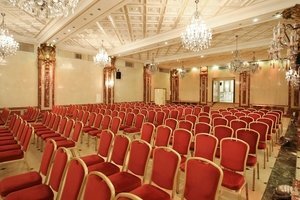 There is a range of furniture which make this space well-equipped for large events. 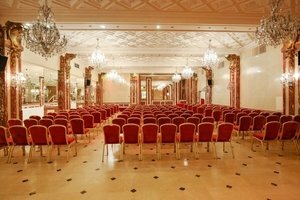 Situated in the lovely area close to Ternes Métro and close to Charles de Gaulle Étoile, this space is impressive and an outstanding choice for sophisticated events.